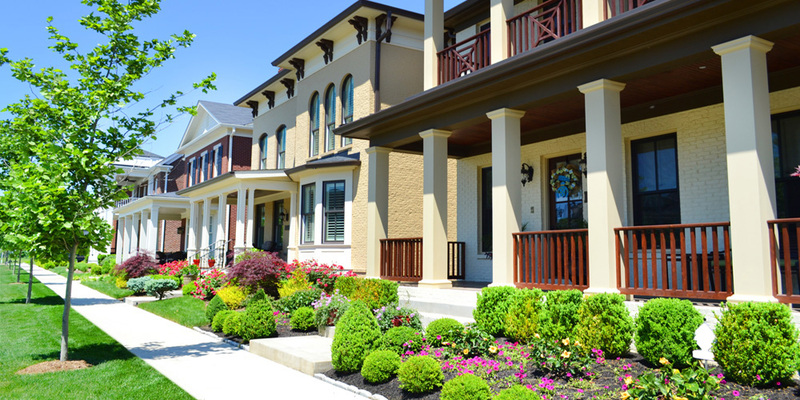 If you belong to a homeowners association (HOA), you may know that making any upgrades to your home requires an OK from the board. The main thing that HOAs want to convey is a sense of order and eye appeal for its homes, so it is important that any upgrades are approved by the association, which has rules and regs by which all must abide. One great way for HOAs to cut down on upkeep costs and water usage is to install turf grass. Not only does it look great, it feels great, and it requires no water, which is a real plus in areas hit by drought. That said, up until just last year, HOAs forbid the use of turf grass! Watersavers Turf provides HOAs with a broad range of fake grass choices from which to choose at price points to fit all budgets. Our high-quality products can turn any condo complex or group of homes into a green space that looks charming, neat, clean, and—most-important—into a real water-saving concern. Although they began in the mid 19th century, HOAs didn’t come into being until the 1960s, as land became less available, building costs went up, and the FHA gave a thumb’s up to home mortgage insurance solely for condos or for homegroups with HOAs. As suburbs sprang up, so did group housing, and so did HOAs. Today, these typical living scenes are quite common, and it does make sense that there must be rules in place by which all can live. In CA, about six million people are part of HOAs, which is about 20% of the people in the state. Artificial Turf Grass—Gov. Jerry Brown OKs CA HOA Members to Put It In! In 2015, largely in answer to CA’s awful drought, Gov. Jerry Brown signed a bill that made HOAs allow members to put in artificial turf grass. Brown felt that HOAs should not make people install real lawns, but instead help them conserve water by using fake sod. Brown said not only should people not be sued or fined; they should be urged to install fake turf for the good of the state. Today, some cities are even giving people rebates to use this type of lawn! This is a huge step toward helping to solve the drought problem, and we think it’s about time. It is likely that HOAs forbid the use of artificial turf grass in the past because it did not look very nice. Those days are gone:Today turf looks so much like the real thing that it quite hard to tell the difference! The fake grass of today is soft and lush and able to stand up to any type of weather. HOAs still have rules about turf, but we at are aware of all the ins and outs of these rules and our installers are trained to work with them all. With more than more than 60 turf grass types from which to choose, we have you covered. Our top-of-the-line products include the Sierra Super 94, which has a 94-ounce face weight; Olive Plush 92, which has a 92-ounce face weight and a lovely, blended olive color; and the Dura S-Blade 90, which has a 90-ounce face weight. At a lower price point, the All Natural 75 features high face weight and a cost-saving standard blade, while the W Blade 60 has cool max technology that reflects sunlight. Our economy options are the Olive 51 and Emerald 46; while these are a great value, they still feature the same quality as all of our products. With so many turf grass types in our line, it can be hard to choose. So we offer customers free, 1’ x 1’ samples, they can feel and look at the same thing they will see in their yards. Also, our products are non-toxic and lead- free, and we never use crumb rubber infill. Why wait to make your condo complex or group of homes green and eco-friendly? Contact us and do your part to save water and reduce costs for the whole group of owners! Click here for a free quote or to contact us with any questions you have, or call us today at 844-974-8873. We have all of the products you need to turn your water-wasting grass into a pretty, green garden setting with low upkeep. What HOA could argue with that?